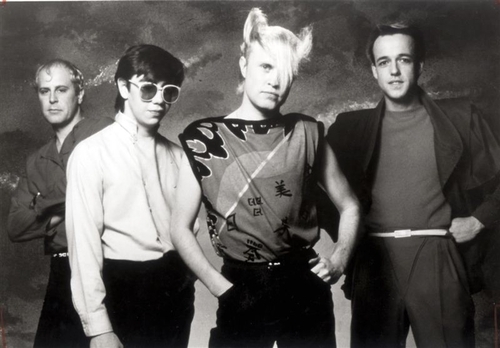 A Flock of Seagulls (also known as Flock of Seagulls) are an English new wave band originally formed in Liverpool by brothers Michael "Mike" Score (keyboards, vocals) and Alister "Ali" James Score (drums), along with Francis Lee "Frank" Maudsley (bass) and Paul Reynolds (guitar). The group had a string of international hit singles including "I Ran (So Far Away)", "Space Age Love Song," "Wishing (If I Had a Photograph of You)", and "The More You Live, the More You Love", and they became notable in the 1980s for their video for "I Ran (So Far Away)". The band has also won a Grammy Award.